Did you know that natural indigo and other plant-based dyeing used to be mainstream? In Bengal alone, during the 1850’s, 3,500 tonnes of natural indigo were exported each year, with indigo cultivation and processing employing millions of people. Then, in 1897, BASF launched synthetic indigo and before long synthetic indigo had replaced most of the natural indigo. 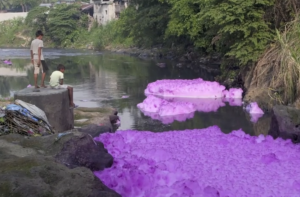 Today, it is widely acknowledged that textile industry pollution and contamination of river streams pose a risk to the environment and to human health. The Colours of Nature was created to help further the use of fully eco‐friendly dyes, which in our opinion, at least at the moment, happen to be natural dyes. India’s expertise in natural dyes dates back to ancient times, with even the Vedas referring to their properties. Weaving of and printing on fine textiles form part of a continuous tradition. India had a virtual monopoly in the production of dyed painted and printed textiles for a long time. The knowledge of which mordants (substances which are used to fix a dye to the fibre) to use and how to use them remained a closely guarded secret. 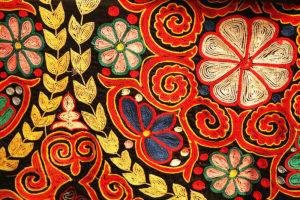 From the 15th century onward, block printed textiles from Gujarat and Deccan adorned Europeans and their homes. Then, in the 19th century, the discovery of chemical dyes dealt a massive blow to the Indian textile industry. Synthetic dyes are relatively easily available and cheap and have become big business. This has caused indigenous knowledge of the extraction and processing of natural dyes to diminish. But the production and use of synthetic dyes has made the textile processing industry one of the most polluting industries in the world. In addition to consuming a lot of water, synthetic dyes require the application of salts and recalcitrant organic compounds that resist biodegradation. The effluent contains hazardous chemicals which cause, among other things, skin diseases and lung problems. For further information, read e.g. Dyeing for a change, a report on dyes, which also dwells on why dyes are such an important topic. Today, natural dyes are having something of a revival. Irregularities attract those preferring a ‘tribal feel’ to ‘city glam’. Skin‐friendly, biodegradable and non‐carcinogenic, natural dyes show more depth of colour. Fastness can be improved by use of mordants. Sadly, some people fake a natural variation in colour. 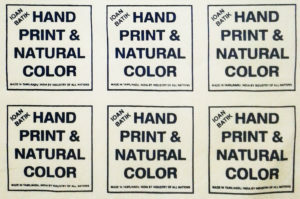 Others mix natural with synthetic or use cheaper ‘nature identical’ dyes. Made up of synthetic indigo and alizarin, these dyes behave similarly chemically, but a frog can tell the difference as it can jump back out of a natural dye vat alive. However, for natural dyes to be fully commercialised, more research, development and investment are needed.